This edition of 1775 is dedicated to the “Reserve Components Human Resources”. The US Army‟s Reserve Components (RCs), which includes the Army National Guard and US Army Reserve, have a long and distinguished history of serving the Nation in peace and war. Army Human Resources (HR) professionals in both RCs have a unique challenge of executing a myriad of HR functions on two fronts – for each respective RC HR system and the Active component HR system when Reserve Soldiers are mobilized. RC HR professionals continue to provide selfless service and exemplary HR support to commanders, Soldiers and their families and are fully engaged with current conflicts in Afghanistan and Iraq. 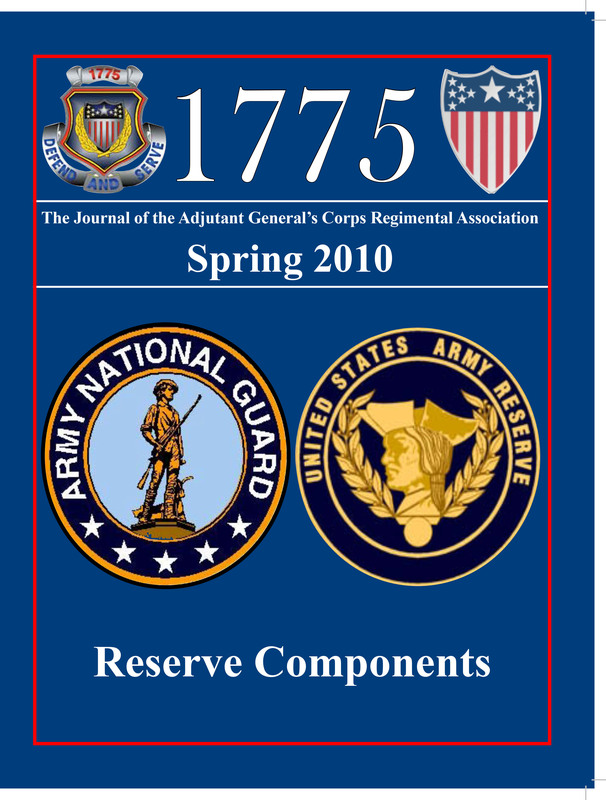 In recognition of their commitment to service and willingness to make great sacrifices on behalf of our Nation, we dedicate this edition of 1775 to “Reserve Components Human Resources”. We hope you enjoy this edition of 1775 and solicit your comments and feedback at magazine@agcra.com.